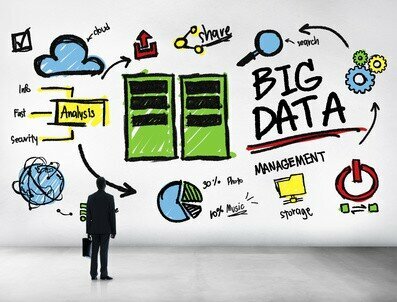 Is "big data" too big? The Internet has enabled the collection of more data than ever before. If I want, I could find out exactly where in the world you are right now, how long you spend on this page, which bit of the page you look at the most, where you came from, where you go to next and even what your mouse is doing. And that is just basic data I can collect on every visitor. With e-commerce I can detect buying patterns and personal interests. Marry that up with data from social networking connections and I can see how you and your friends influence each other. By analysing the words you type I can work out your mood and emotional state. All this is easy peasy. For major corporations the amount of data they can collect on each of us is vast. Indeed, estimates made about the amount of data collection show that the total volume of data in the world doubled between the start of this year and last month. By 2020 the amount of data in the world will be doubling every seven days. That is just too difficult to get our heads around…! Data has significant benefits for business, of course. After all, companies like Amazon use data to work out what to offer you and even what price to charge you. Clearly their business depends upon careful collection and analysis of data to ensure up-sells, cross-sells and so on. There is, though, a significant psychological issue that comes into play with data collection. The more data we have, the more we want. This is an element of our in-built desire for risk-aversion. Even adrenalin-junkies have a good helping of risk-aversion. Before they do that bungee jump, they’ll check out the website of the operator, they’ll go onto social media to find out what other people are saying about the location, they will look at pictures on Instagram of people doing the same jump. This is all psychological risk-aversion coming into play. What they are doing is gathering as much information as possible to subconsciously reassure themselves that all will be well when they leap off that bridge and plummet to the earth at 32 feet per second. The same kind of risk-aversion comes into play when we buy something. We gather as much information as possible to ensure we are minimising the risk of spending money on the wrong thing. Changing rooms in clothing retailers are there mainly for risk-aversion, so we can check that the item fits or looks good on us. Online, we can get all kinds of information on anything we want to buy. The more information we can gather, the better we feel. As a result, the more material we can see, the more we want to see. The same is true for data. The more data that exists, the more we want to gather. You see this happening in business meetings all the time. Someone produces a report from a survey and another individual asks how many people were involved. Then there is some discussion and the meeting decides to repeat the survey with some more people – “just to make sure”. When we have some data, we want more. That’s a real problem, however. Because the more data we have, the more time we spend on analysing it. And the more complex and interconnected the data, the more we have to think about it and delve more deeply into it. The vast amount of data and the ever-increasing number of reports causes another psychological issue of being overwhelmed. That leads to disinterest and lack of attention. And that, in turn, means we stop gaining from the data because we are not analysing it properly. The more data we collect, the less valuable it can become because of our brains. As the article, How Can Big Data Trigger Positive Emotions explains, it is possible to make data interesting and appeal to our staff, but we have to work at it. If we don’t take steps to make data more psychologically engaging we are in danger of just producing data for data’s sake and not getting anything from it other than the desire to collect more data.